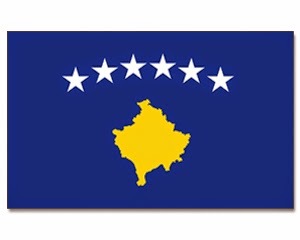 EBRD finance with €12 million Kosovo Sustainable Energy Projects (KoSEP) to instal and promoting sustainable and efficient use of energy. The 2014 Sustainable Energy Excellence Awards ceremony hosted by the EBRD and the European Union (EU) Office in Kosovo took place on 8 October at the Emerald Hotel in Pristina. Apetit sh.p.k., for investing in new and efficient meat processing machines and cooling chambers. By doing so, the company achieved the highest energy savings and reductions in CO2 in the business sector. NewCo Jugoterm International LLC, for modernizing their production equipment and investing in new welding robots. Not only did they save energy, but they also reduced CO2 emissions. Iliri D. shpk, awarded for replacing an old diesel tractor with a new, more efficient model, which is now saving large amounts of diesel and reducing CO2 emissions. Mrs Gjylba Dembogaj awarded for investing in energy-efficient windows, thermal insulation for external walls and a new and efficient biomass boiler, generating the highest energy savings and CO2 reductions of all the nominees. Mr Selim Cacaj, awarded for investing in space and water heating from renewable energies with his purchase of a biomass boiler and a solar water-heating system. By implementing such measures, Mr Cacaj is now less dependent on the national power system. Mr Fadil Hoxha, for decreasing his energy consumption by close to 50% through his investment in new windows, insulation and a biomass heating system, resulting in the highest energy bill cuts. These were awarded to all three participating financial partner institutions and loan officers who have achieved impressive results for KoSEP. So far over 1,000 projects in Kosovo have received support worth more than €5 million through KoSEP.